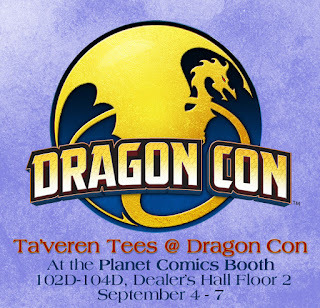 Ta'veren Tees: TA'VEREN TEES AT DRAGON CON! 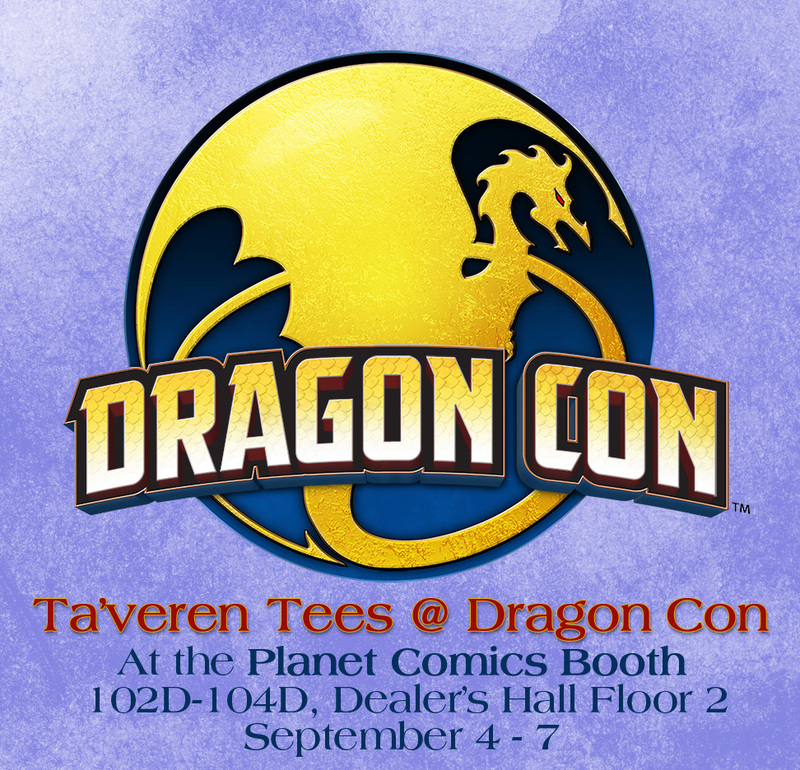 TA'VEREN TEES AT DRAGON CON! Heading to Atlanta for Dragon Con this year? Ta'veren Tees will be there too with some familiar products and some brand new ones as well! Artist Ariel Burgess will also be with us on Sunday for a signing from 2 - 3 pm. 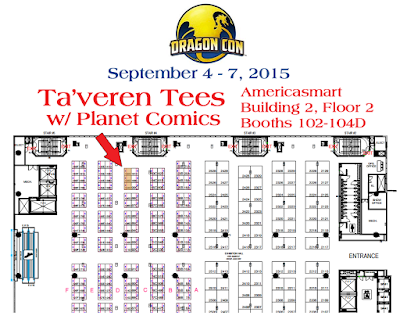 We'll be with the Planet Comics booth, 102D-104D, Floor 2 of the Dealer's Hall. 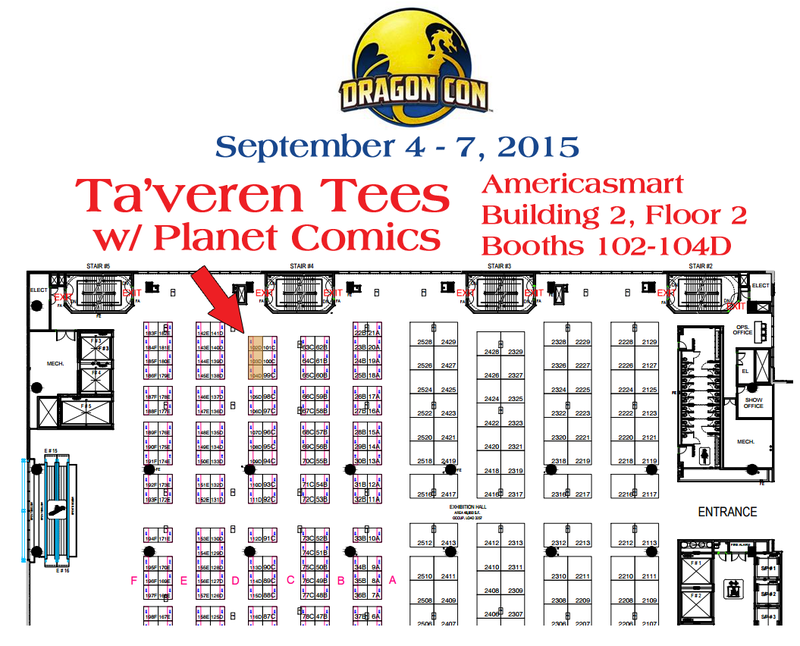 Come see us and say hi!